Most of us breathe a sigh of relief when a film adaptation of a favorite book turns out to be actually pretty good. When an adaptation is more than actually pretty good, it’s cause for celebration. When the music for that movie is so good that the soundtrack stands as a terrific album in itself, it’s such a rare occasion that the fact that it’s happened at least twice warrants, in my humble opinion, writing about. Nick Hornby’s High Fidelity and Brian O’Malley’s graphic novel series, Scott Pilgrim, managed to succeed where so many other adaptations have come up short. Just how were they able pull off this miraculous convergence of all things awesome? Read on to find out! 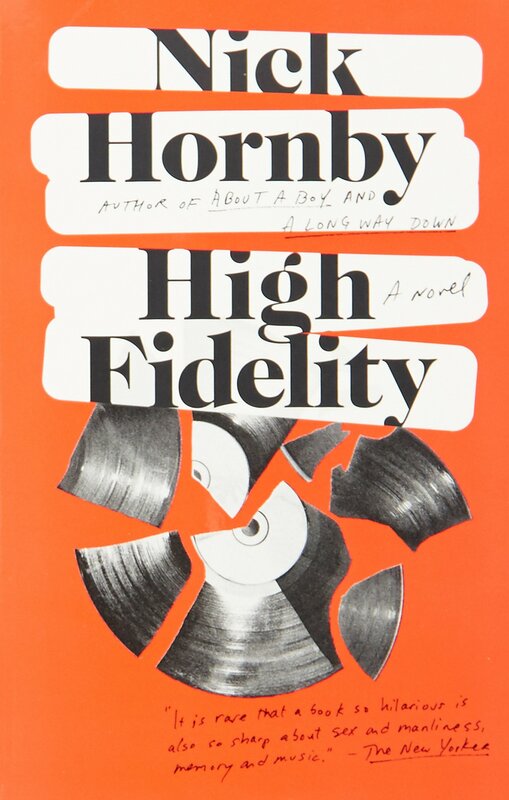 Nick Hornby’s 1995 debut novel should be near the top of anyone’s ‘top-ten desert island’ list for best rock novels of all time. At the opening of thenovel, we meet our narrator, Rob–a slightly neurotic, thirty-something audiophile and record store owner–who’s just had a falling out with his current girlfriend. Rob attempts to make sense of his history of romantic failures by candidly talking us through his top five most memorable break-ups. As bitter and narcissistic as the main character Rob can be, he’s also a flawed-yet-lovable everyman who is easy to root for, and Hornby’s writing is hip, whip-smart, heartfelt, and hilarious. The novel also has a strong sense of place, taking place in 90’s London, and American readers will likely get a kick out of some of the colorful British colloquialisms peppered throughout. And, if you’re the type of person who gets a special tingly thrill when a book drops a pop-culture reference that you totally get, this book is for you, as Rob and Co. consider themselves pop connoisseurs of the highest order and communicate almost exclusively through impromptu top-five lists. There are many that would argue that Stephen Frears’ film is a rare example of a film adaptation that surpasses the original novel. It certainly helps that the screenplay was co-written by Hornby himself, directed by a filmmaker as capable as Frears–first notable for Dangerous Liaisons and more recently Philomena, (both Oscar contenders) and was perfectly cast. 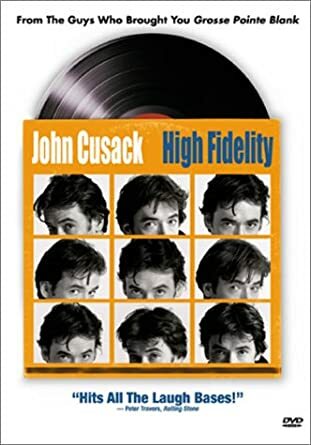 The film stars John Cusack as Rob, in arguably one of Cusack’s most memorable roles. Jack Black, in a career-solidifying breakout role, is also a major highlight, playing the hilarious, hyperactive and uber-opinionated Barry. The interactions between the characters are sharp and often wickedly funny. Rob’s record store, Vintage Vinyl, really comes into focus in the film as well, as does the setting, which, for the movie, was shifted from London to Chicago. Even with the change in venue, the filmmakers do an excellent job of preserving the sense of time, place, and cultural milieu that was such a strong element in the novel. Indeed, all the best qualities of the novel-the heart, the hipness, the unflinchingly honest humor-are all there, brought to life by a terrific screenplay, an excellent cast, and a rockin’ soundtrack. Every great soundtrack is more than just a compilation of songs from the movie. A soundtrack is a movie’s mixtape, and like any good mixtape, needs to tell a story in itself. The ‘High Fidelity’ soundtrack does this and more. Including some killer classics from 60’s through 90’s American rock and indie-rock, this judiciously-selected collection of tracks is as thoughtful and eclectic as you’d expect, and it’s easy to imagine these tunes blasting from the overhead speakers at your favorite vintage record store. Highlights from the album include The Beta Band’s ‘Dry the Rain,’ (prominently featured in the film), a spaced-out cut by The 13th Floor Elevators, two delightfully hazy songs by The Velvet Underground, a classic track by the UK’s other greatest rock band ever, The Kinks, and a terrific newer track by songwriting legend Bob Dylan. And they’ve even included Jack Black’s version of Marvin Gaye’s ‘Let’s Get it On,’ for obvious reasons. While not every song used in the movie made the cut for the single-disc soundtrack, this collection of tracks perfectly captures the spirit and swagger of the film, and stands on its own as a stellar album. You can find a full list of music used in the film on the movie’s Wikipedia page. -Adam Hummell is a Readers' Services Assistant at Lawrence Public Library.